Learning the periodic table of the elements is not one of my fondest memories of high school, but it was a necessary experience to get through chemistry. My classmates and I memorized all of the elements, at least temporarily, by using flashcards to drill each other. Today, students have more options at their disposal. 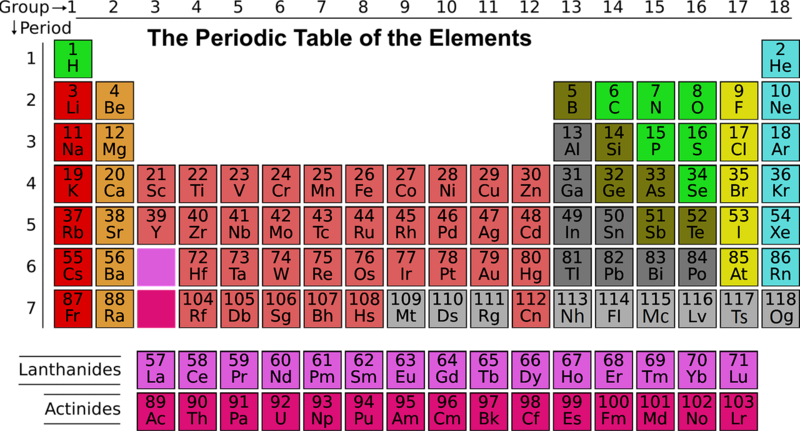 Here are seven good resources to help students learn the periodic table of elements. Ptable is an interactive display of the Periodic Table of Elements. Place your mouse pointer over an element to access the basic information about it. Click on an element to open a Wikipedia article about that element. The article opens within a dialogue box within Ptable so that you don't have to leave the site and then come back to use the table again. The Periodic Table of Elements, in Pictures and Words is an interactive site that shows students how each element is used or is present in familiar products. When students click on an element in the interactive display an image of a familiar product or object appears along with a description of the element and its characteristics. For example, if you click on aluminum an image of airplane appears along with a description of aluminum, its uses, and its characteristics. The Periodic Table of Comic Books is a project of the chemistry department at the University of Kentucky. The idea is that for every element in the Periodic Table of Elements there is a comic book reference. Clicking on an element in the periodic table displayed on the homepage will take visitors to a list and images of comic book references to that particular element. After looking at the comic book reference if visitors want more information about a particular element they can find it by using the provided link to Web Elements. The Periodic Table of Videos is produced by The University of Nottingham. The table features a video demonstration of the characteristics of each element in the table. Each element in the Periodic Table displayed on the home page is linked to a video. The videos are hosted on YouTube, but don't worry The University of Nottingham provides an alternative server through which you should be able to view the videos. The Elements is an interactive periodic table on which students can click an element and learn about that element. Clicking on an element describes all of the element's properties and the common uses of that element. If students just need a snap shot of information, simply placing their cursor on an element reveals a snap shot of information at the top of the page. ABPI Schools offers an online game in which students have to use their knowledge of the elements in order to correctly place them into a blank table. Students are scored according to time and accuracy. A penalty time is added for each incorrect attempt. The game is available in three difficulty levels. Finally, AsapScience has released an updated version of the Periodic Table Song. Watch the music video here.